Time is running out to register for the 12th annual Olympic Peninsula Birdfest, and the events are filling up fast. The main events of the Olympic Peninsula Birdfest begins Friday, April 10, 2015 and continues through Sunday, April 12, 2015. 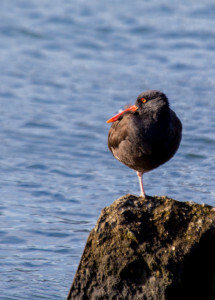 However, if you can’t wait to begin birdwatching, come enjoy Neah Bay Birding by Land and Sea, a trip that begins Tuesday, April 7 and lasts through Thursday, April 9th, 2015. And if you’d like to keep the fun going, there is the San Juan Cruise, April 12th – 14th, 2015. Widely known as an excellent spot for birdwatching, North Olympic Peninsula also offers a great area for birdwatching enthusiasts to gather and witness a wide variety of species at its annual Olympic Peninsula Birdfest held in Sequim. How can there be that many different types of birds to watch, you ask? Honestly. It’s all about timing. The festival is planned with the coincidence of wintering birds and the start of spring migration. So it’s an ideal time for bird watchers to come out and see several varieties of fowl in the Olympic Peninsula, which offers a backdrop mixed of woodlands, coastal plains, and inlets. 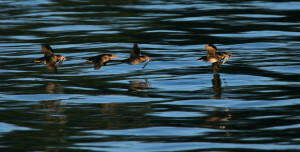 As listed at the Olympic Peninsula Birdfest website, the variety of bird species for watching is large. Register for one of two private tours to the Endangered Waterfowl Breeding Sanctuary, which will allow visitors to see such species as the Common Eider, the Spectacled Eider, the red-breasted Goose, and the Smew. The Olympic Peninsula Birdfest is managed in such a way as to maximize the number of birds watched in a variety of environments and to offer all ages the opportunity to catch glimpses of nature’s common and nature’s endangered fowl species. The BirdFest will feature numerous events, and each promises a unique and delightful experience for birdwatchers. 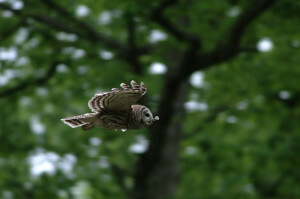 Evening trips will navigate birdwatchers through woodlands to sight songbirds and perhaps locate owls in the evening. Birdwatchers can also enjoy boat trips to Protection Island. Check out our webcams page to see other notable regions of the Olympic Peninsula. Deputy Director of the National Audubon Society since 2014, Smithson-Stanley has an impressive resume of leading communications efforts about climate change impacts and has experience directing strategic media communications. She will be speaking at the festival’s banquet on Saturday, April 11, 2015. Come hear her as she educates and informs, bringing light to an impactful topic and learn how she is helping lead the way in the Audubon’s new science. Enjoy salmon from Kokopelli Grill, and dessert cupcakes from That Takes the Cake. Advance reservations are required to attend the banquet. The Olympic Peninsula Audubon Society, the Dungeness River Audubon Center, and the Jamestown S’Klallam Tribe partner to sponsor event, and it is further supported by a grant from the Sequim Marketing Action Committee. Find out more about the Olympic Peninsula BirdFest sponsors here. Be sure to check out the BirdFest site for the full list of events and descriptions. When you’ve decided which events you’d like to enjoy, register here.